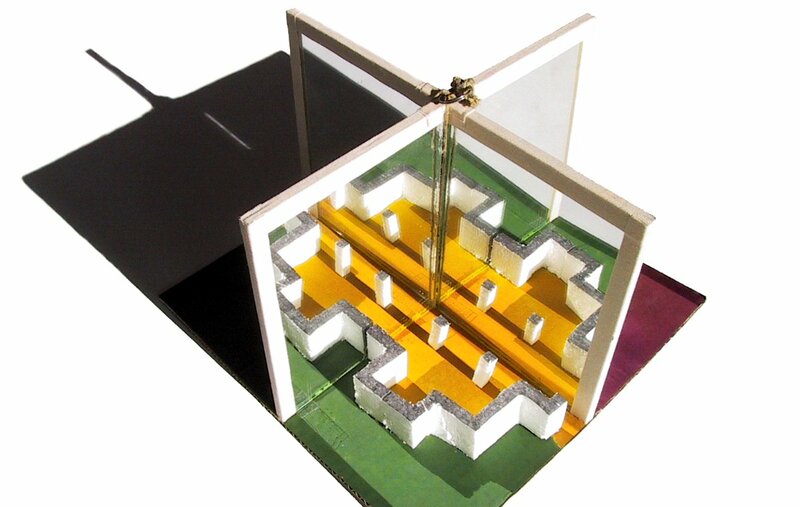 I made this model for architectural design studio, first semester of bachelor studies. The task was to create a symmetrical 3D design. We started with a black and white square plan and then were asked to work in the third dimension. My plan was not symmetrical at all, but I have used mirrors to recreate symmetry. As a result the reflection of each four parts of the plan became four separate 3D models.